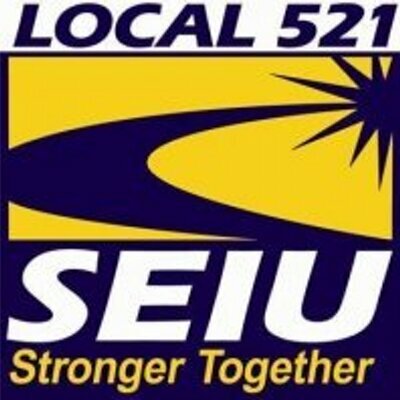 SEIU Local 521 was founded in 2007 when five (5) local unions came together in the Bay Area, Central Coast, and Central Valley to form one larger, more powerful union. Together our members are building a true 21st century union fighting to empower and improve the lives of our members. We represent 40,000 public service workers in cities, counties, courts, schools, private non-profits, special districts, and public health care. We are looking for energetic, hardworking staff that is committed to real change, who believes in the value of work and the value of public services, and who wants to be part of the team that wins for workers, their families, and their communities. DEFINITION: Under direction of the Area Director or his/her designee, this position is responsible for developing worksite leadership structures; recruiting new members; supporting members in exercising political power; participating in organizing and political campaigns; and negotiating union contracts. Also responsible for organizing new groups of workers interested in union representation and/or internal organizing and bargaining support campaigns. Responsible for preparing work plans, calendars, files, reports, and other records. Identifying, recruiting, training and developing stewards, officers and leaders. Leading and assisting in developing plans for worksite campaigns for specific issues including public budget issues, contract negotiations, safety, etc. Creating or assisting members in creating communication systems; write and edit leaflets, proposals, newsletters, etc. Negotiating or assisting in contract negotiations, from proposals through strike preparation. Monitoring stewards and officers in their representational duties, including grievances and disciplinary appeals. Follow through where necessary. Meeting timelines and procedures related to labor contracts and union bylaws constitution and policies. Encouraging participation in political and lobbying activities. Help members hold elected officials accountable. Participating in and learning to lead residual organizing campaigns; recruit members. Leading staff members or community based committees; serve as spokesperson. Some knowledge of labor rights and contract language and ability to learn these quickly. Willingness to work long and irregular hours including weekends, evenings and holidays. Ability to communicate well in writing and orally; ability to mobilize membership. Ability to maintain work files and comply with administrative reporting. Bilingual in Spanish, Vietnamese, Chinese a plus. Employer-paid retirement plan & 401(k).